What is Advanced Myofascial Release? We use Advanced Myofascial Release in many treatments. Myofascial Release is performed directly on the skin without the use of oil or cream. This is necessary to detect fascial restrictions. Gentle, sustained pressure is applied to facilitate a release of restricted tissues due to postural imbalance, injury or surgery recovery. Our training in this technique is primarily with Til Luchau. Til is the lead instructor and Director of Advanced-Trainings.com . 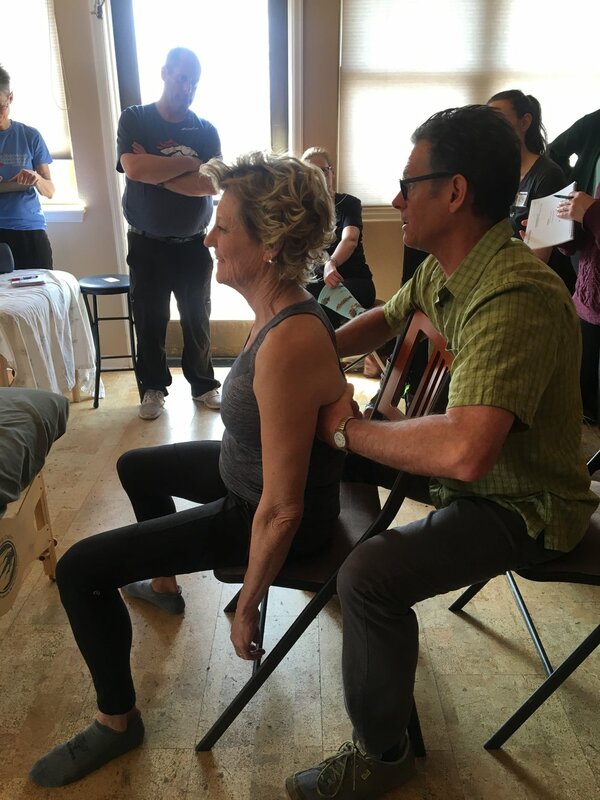 He is a Certified Advanced Rolfer (TM) and a former faculty member and Coordinator of the Rolf Institute's Foundations of Rolfing Structural Integration program. Some video links are on our Learn page or click here to see a variety of treatment videos. What is St John Neuromuscular Therapy? St John Neuromuscular Therapy was founded by Paul St John. 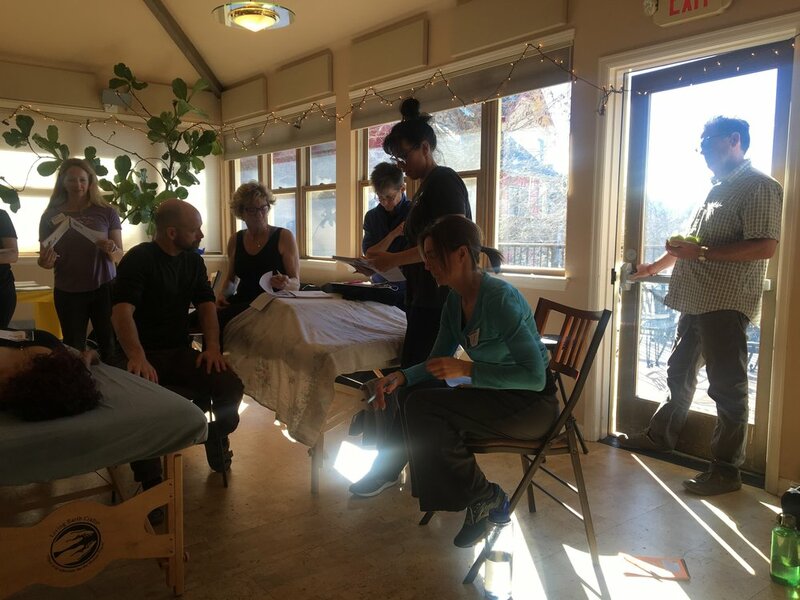 It is a comprehensive program of soft tissue manipulation techniques that balance the central nervous system (brain, spinal column and nerves) with the structure and form of the musculoskeletal system. NMT is based on neurological laws that explain how the central nervous system maintains homeostatic balance. These same laws dictate how the central nervous system initiates pain response. Postural Distortion or muscular contraction occurs when there is an imbalance of the musculoskeletal system resulting from movement of the body off the coronal, midsagittal or horizontal planes. When the body tries to compensate in an effort maintain structural balance, muscle contraction, body distortion, and pain result. For example, lower limb-length inequality can cause a tilted pelvis, which usually results in a compensatory scoliosis that is maintained by sustained muscular effort.